Often a Bible passage's meaning is obvious. But sometimes Scriptures seem incomprehensible, even contradictory. How do we as believers correctly interpret these puzzling passages? The author of What If Jesus Had Never Been Born? and What If the Bible Had Never Been Written? takes an in-depth look at passages of Scripture that are difficult to understand. From an overview of the dichotomy of faith versus works to the meaning behind I John 3:9 ('Whoever has been born of God does not sin.' 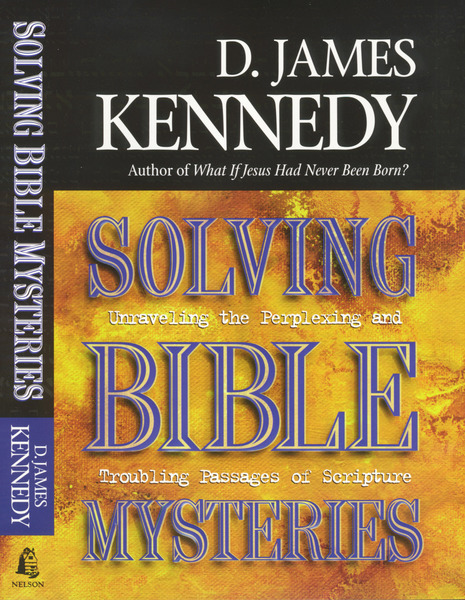 [NKJV], Solving Bible Mysteries offers powerful insight on some of Christianity's challenging questions.